Every time I pick it up, I’m amazed by how nearly perfect Batman #1 is. Not 2011’s Batman #1 or 2016’s Batman #1, both of which were entertaining. 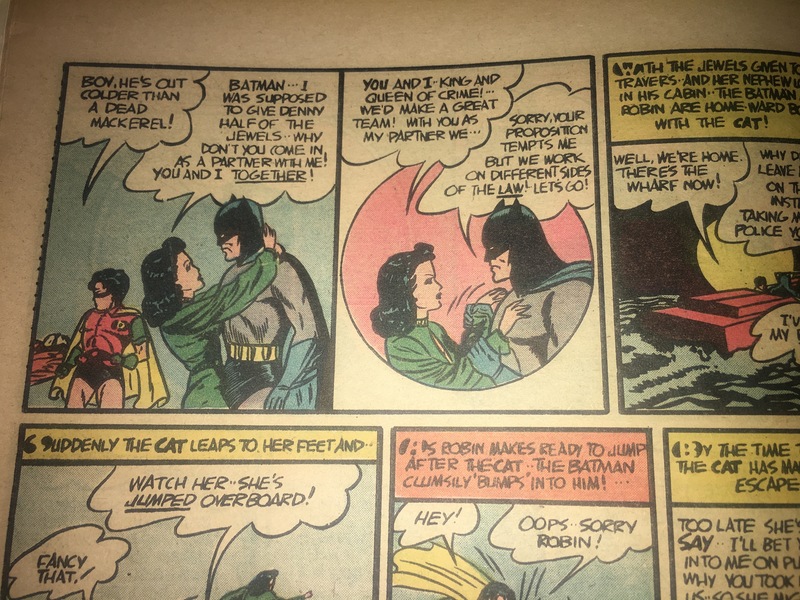 No, I’m talking about the original 1940 Batman #1, mostly written by Bill Finger, with art by Bob Kane and Jerry Robinson. The ground-breaking one. One of the most important comics in history. 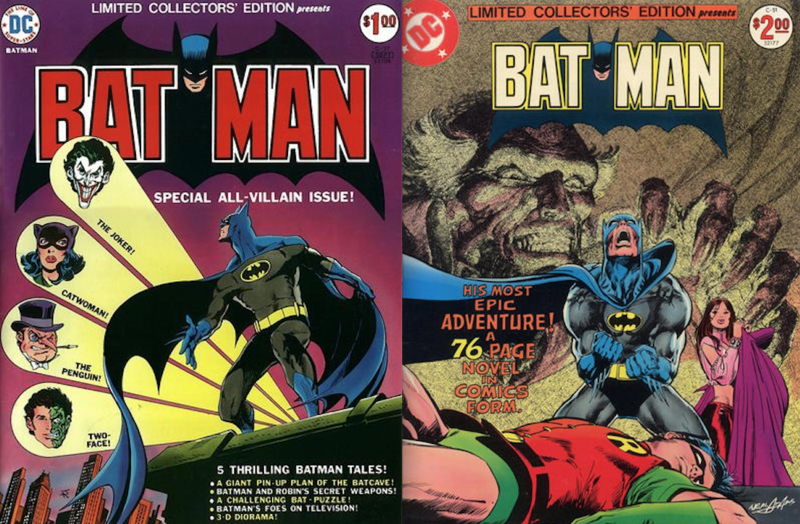 As it was for so many readers of my generation, my introduction to Batman #1 was through DC’s Famous First Edition series of treasury-sized reprints. Issue #F-5 is cover-dated Dec. 1974/Jan. 1975, which means I was 7 going on 8 years old when it came out. I don’t remember getting it but I do remember having it around that time and I read it, and re-read it and re-read it again. I recently had reason to re-read it yet again, in preparation for Rob Kelly’s TreasuryCast, which as the name suggests, is a podcast dedicated to the wonderful oversized comics format. It happens to be one of my favorite podcasts and I’d been on twice before — discussing the Ra’s al Ghul treasury (click here to listen) and the Batman villains treasury (click here to listen). But I was just as eager to go back and talk about the Batman #1 edition — because all three formed the nucleus of Young Dan’s core Bat-curriculum. 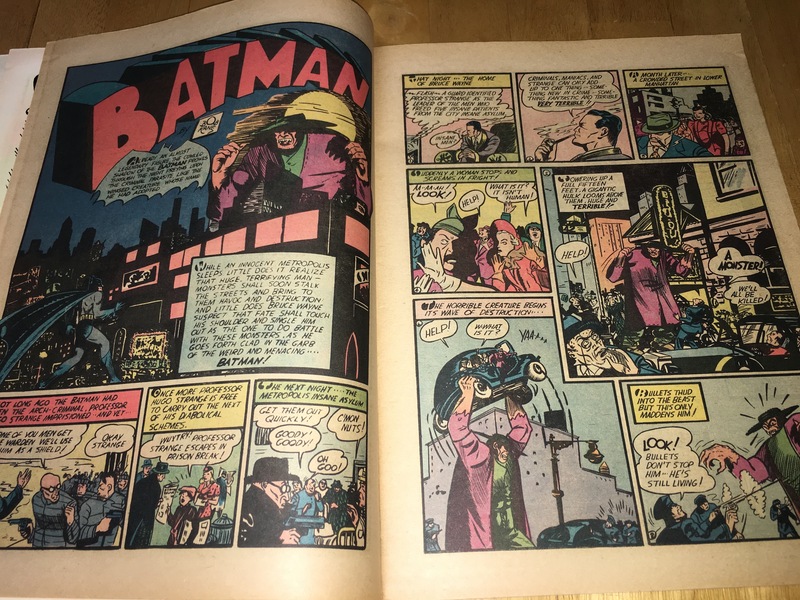 When I opened my copy to brush up, I was again struck by what a great comic Batman #1 is — especially in the oversized treasury format — with four stories (and a tweaked reprint of Batman’s origin story) that in large part remade the Bat-template for the next eight decades. 1. 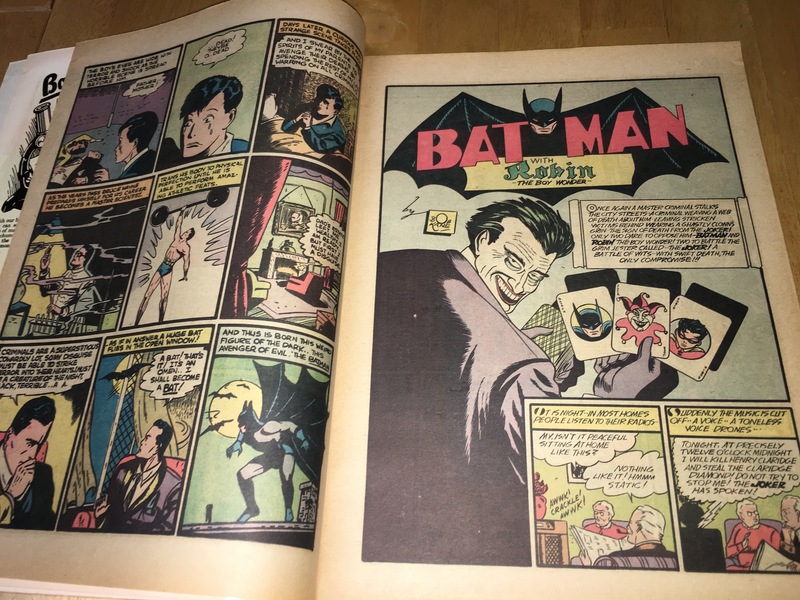 Batman’s potential reached full flower in Batman #1, with the introduction of the Dark Knight’s greatest adversary, the Joker, and his greatest female foil, Catwoman, as well as an appearance by his best early-days villain, Hugo Strange. This was also just Robin’s third appearance — and he’s immediately shown to be an aide-de-camp worthy of the Caped Crusader. 2. 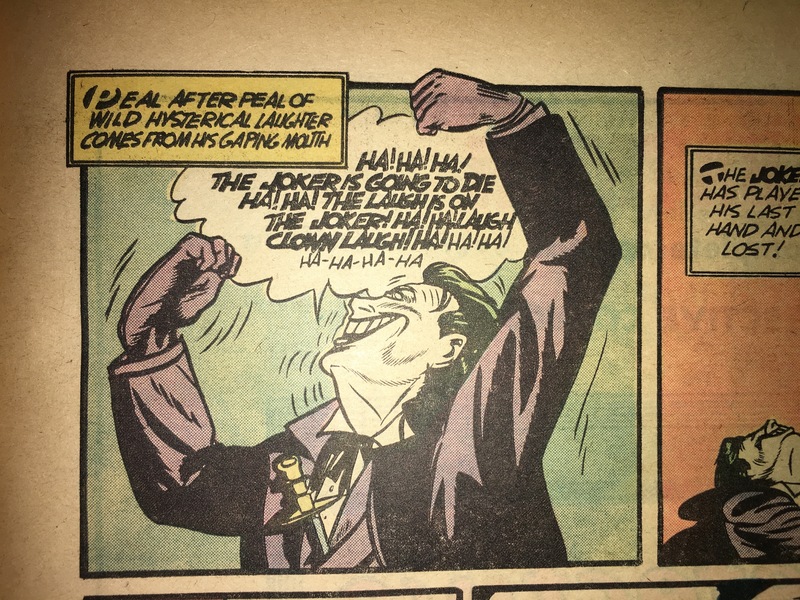 Batman’s first year in Detective Comics was really a shakeout cruise, an exercise in comics pulp. The stories, though heavy on mood, focused on fairly one-note supernatural adversaries and evil scientists (Strange being the best of them). 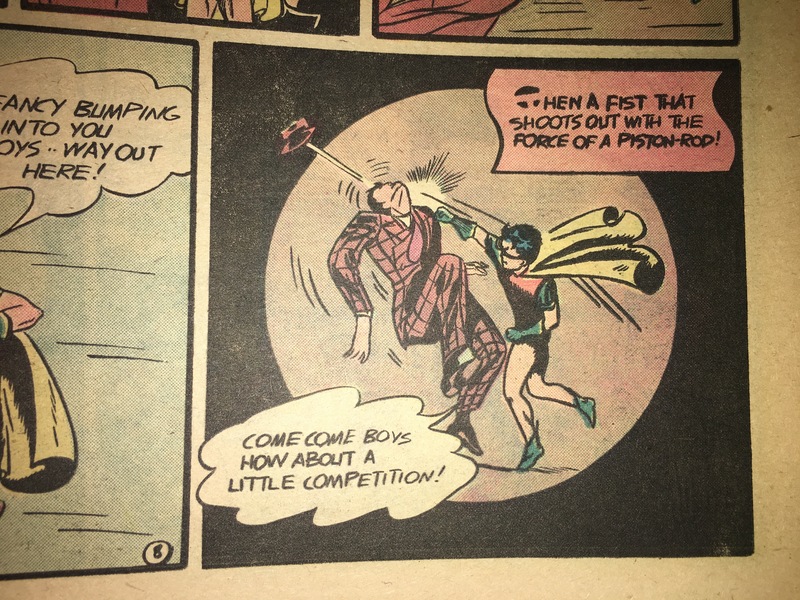 The series got a shot of adrenaline with Robin’s introduction in Detective #38. 3. 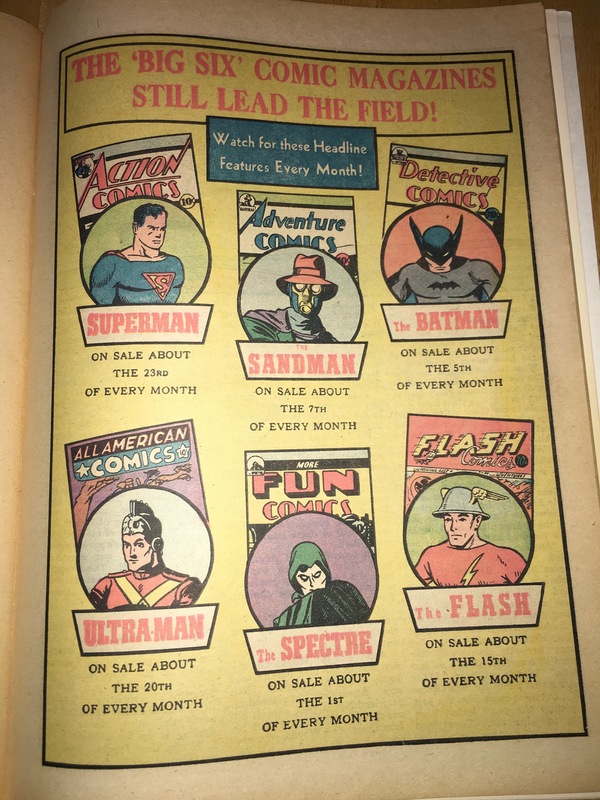 The comic really gains something in the treasury edition — as all comics do. 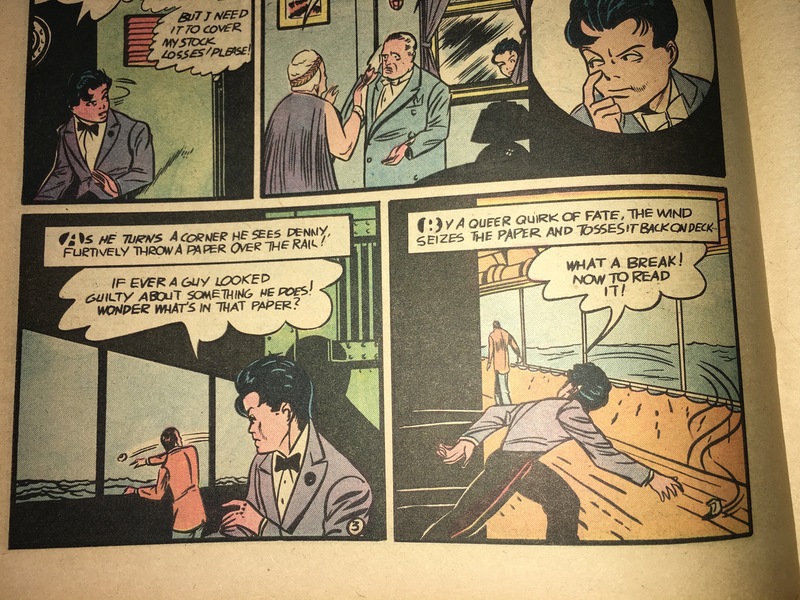 Even good Golden Age art can be crude and printing standards loose. Seeing this classic at the larger size not only gives the stories more power, it gives the art more scope, more room to breathe. 4. 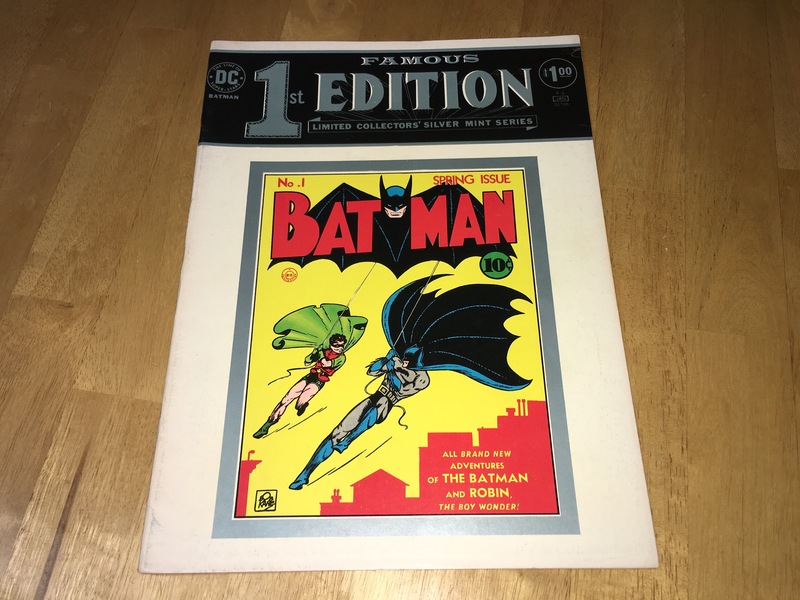 I love opening the outer cover to reveal the huge reprint of the classic cover by Bob Kane and Jerry Robinson, with it’s bright yellow and red background. My eyes pop every time I do it and it’s a thrill. 5. Inside that front cover is a great column signed by Carmine Infantino, then the publisher of DC Comics. 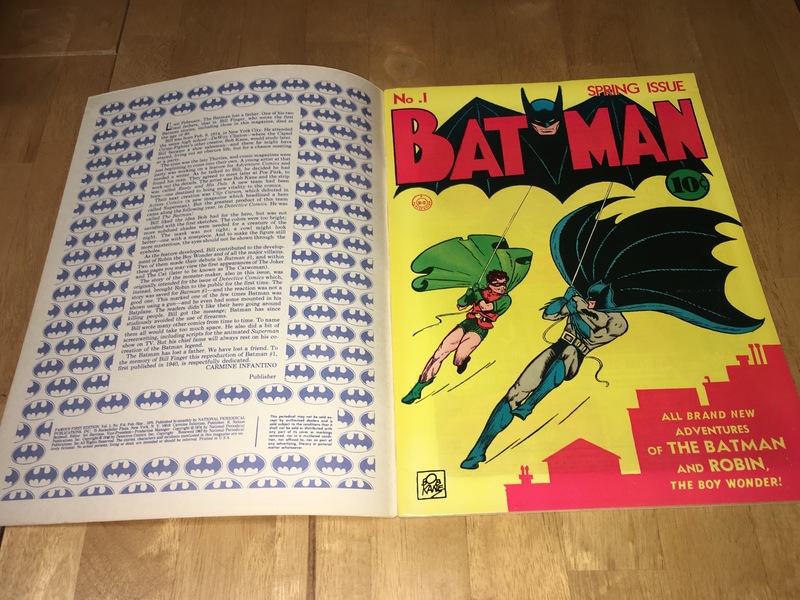 Right there, in blue-and-white lettering, is a full-on explanation that Bill Finger — who wrote all the Batman stories in this issue — was the real creative force behind Batman. Considering what it took to get Finger official credit, it’s a remarkable piece with 40-plus years of hindsight. Wanna read it? You do. It’s startling. Click here. 6. 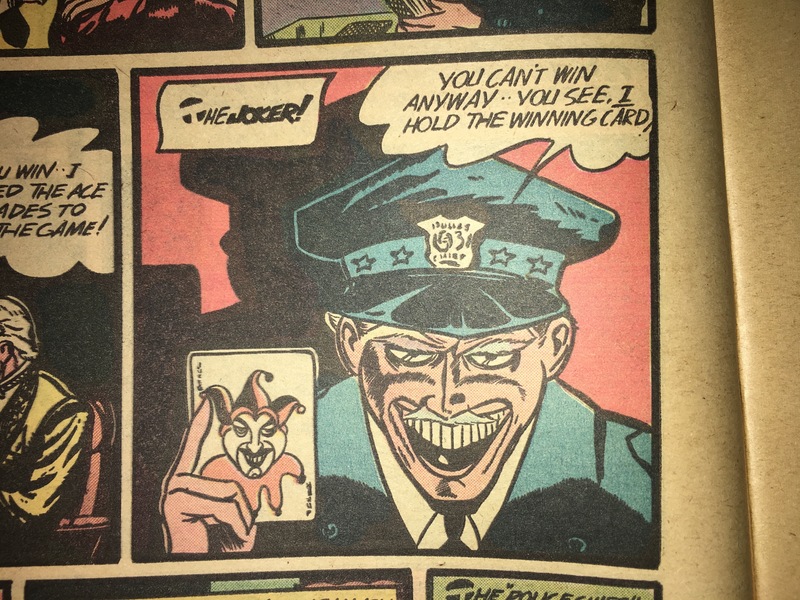 It’s remarkable just how potent the Joker was right from the beginning. Sure, he took different paths over the proceeding decades, but by the ’70s he was back to these roots, where he’s more or less stayed. He’s crazier now, but the creepiness — not to mention the sociopathology — was right there in that first story. 7. 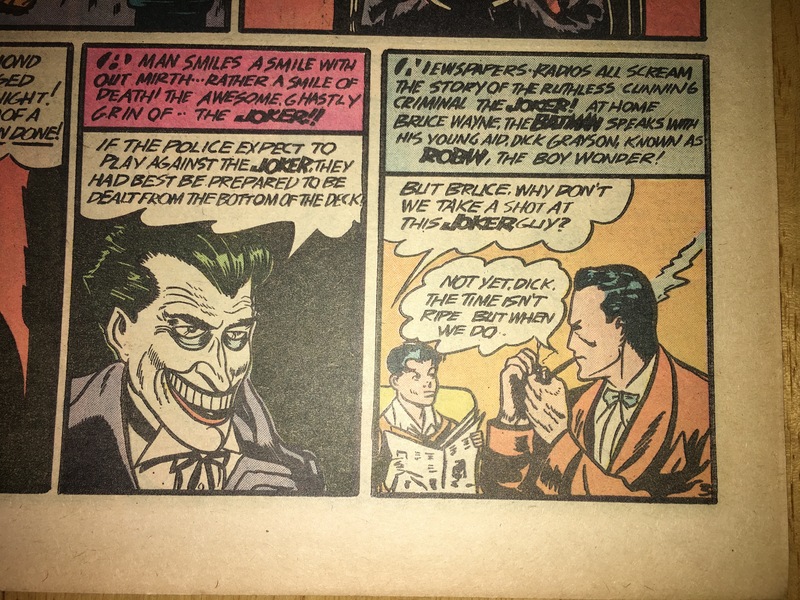 Not only that, there’s never been a better version of the Joker’s “first story” than what’s in this issue. (You can pretty much read the two stories as a two-parter.) It’s been remade and recast and retconned but this remains the gold standard. That’s saying something. 9. Robin is awesome in this issue — eager, smart and funny. Like the Joker, they pretty much nailed it right off the bat. We’ve had a virtual army of Robins and other sidekicks over the last 78 years but the template was cast remarkably well from the get-go. 12. The Hugo Strange story carries the vestiges of when Batman had no problem taking a life — and had machine guns mounted on the Batplane. Just as interesting, if not more so, is that evil Professor Strange went dormant for 37 years after this, until Steve Englehart and Marshall Rogers got their hands on him. 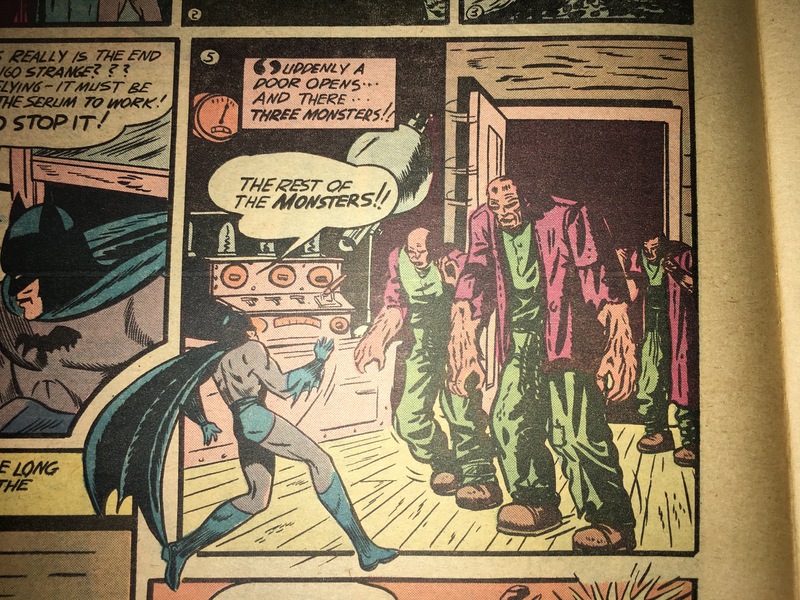 And again, so much of what we recognize in the modern Hugo Strange can be seen here — especially with the Monster Men. 13. But even beyond all of the issue’s importance as a historical artifact, it’s just damn entertaining, a really good comic book. Actually, that’s underselling it. It remains to this day one of the single best comic books I’ve ever read. — To listen to the TreasuryCast episode on this issue — and you should! — click here or get it on iTunes. 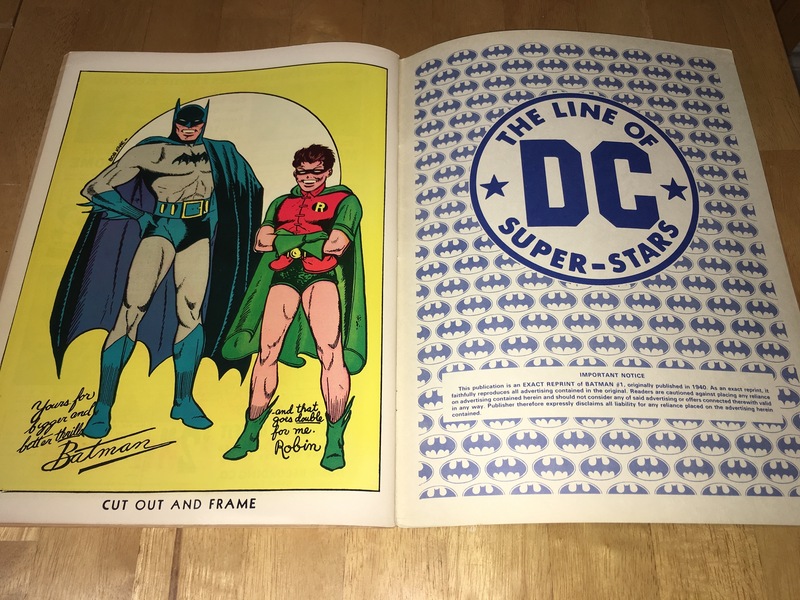 — For DC’s tribute to Bill Finger from this edition, click here. I love this. I agree with every word about Batman #1, although I never had it in treasury format. But I feel the very same way about my Superman #1 treasury.